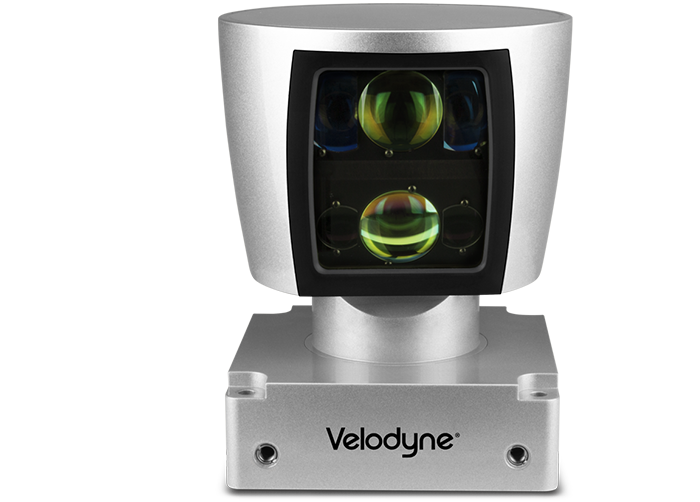 The HDL-64E S3 is Velodyne’s high resolution and performance LiDAR sensor product that supports single or dual returns. Similar to its predecessor, the S2, it captures high definition, real-time 3D information about the surrounding environment. It is ideal for applications such as autonomous vehicle navigation, 3D mapping and surveying plus industrial automation. The HDL-64E S3 provides both unprecedented and unmatched resolution and field of views to generate a wealth of data about the surrounding environment. It utilizes 64 LiDAR channels aligned from +2.0° to -24.9° for a vertical field of view of 26.9° and similar to the S2 model it delivers a real-time 360° horizontal field of view with its patented rotating head design. The rotation rate is user-selectable from 5 Hz to 20 Hz to enable the user to determine the density of data points generated by the LiDAR sensor. The HDL-64E S3 generates a point cloud of up to 2,200,000 points per second with a range of up to 120 m. The HDL-64E S3 is designed to operate over a wide temperature range (-10°C to +60°C) and challenging environments to support diverse operating conditions and applications.